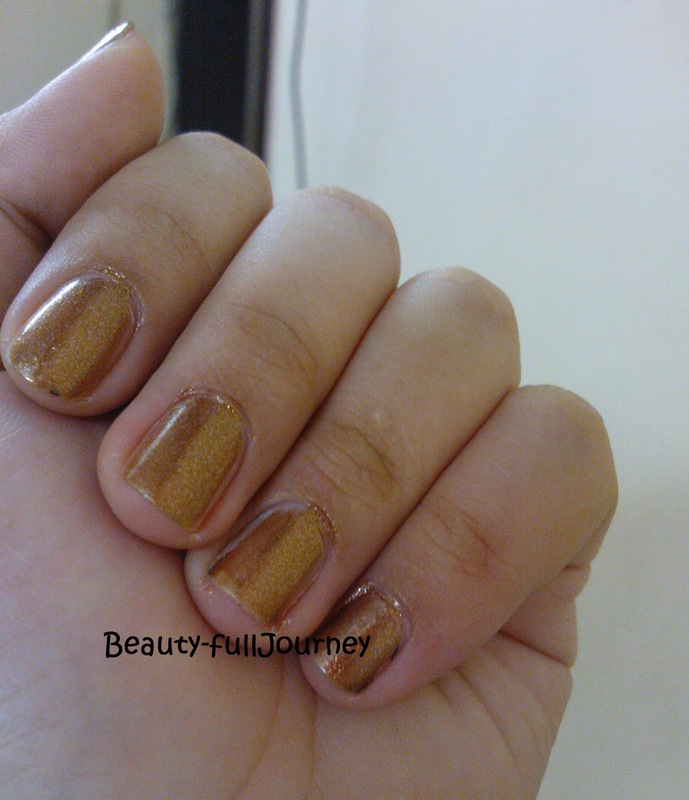 I picked up this nail paint randomly from my nearby makeup store. This nail paint is by Nail Juice, shade #90. It retails for INR 50. The nail paint is of decent quality. It goes opaque in 2 coats and is not at all streaky. But it starts chipping in 1-2 days only. 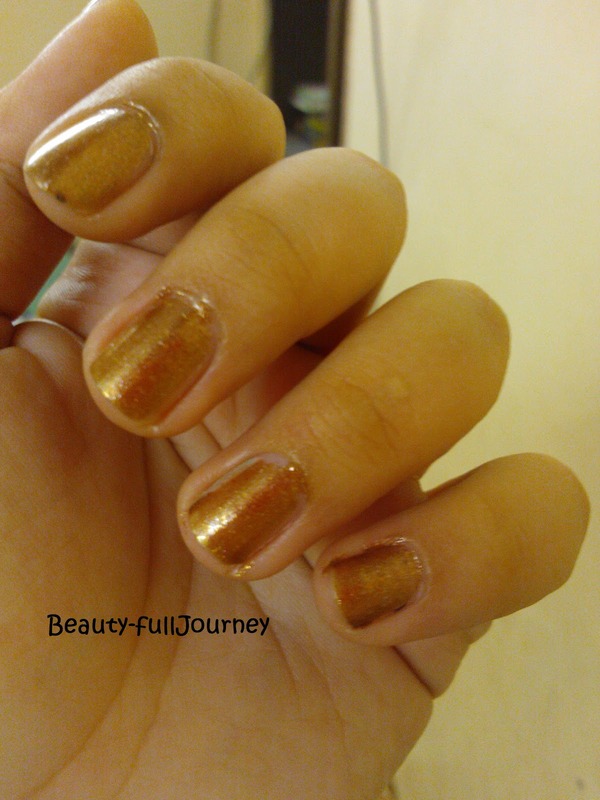 Also, the nail paint doesn’t feel too smooth on the nails; I think that is because of the shimmer in this shade. 1) ALL PRODUCTS HAVE BEEN BOUGHT AND PAID FOR BY ME, AND I’M NOT BEING PAID TO WRITE THIS REVIEW, UNLESS STATED OTHERWISE. 2) ALL IMAGES ARE MINE UNLESS STATED OTHERWISE AND PLEASE DO NOT COPY THEM WITHOUT PERMISSION.